A bubble skirt is a type of short skirt with a balloon style silhouette. These skirts are designed to billow out on the bottom and sides, while being tightly fitted at the waistline. 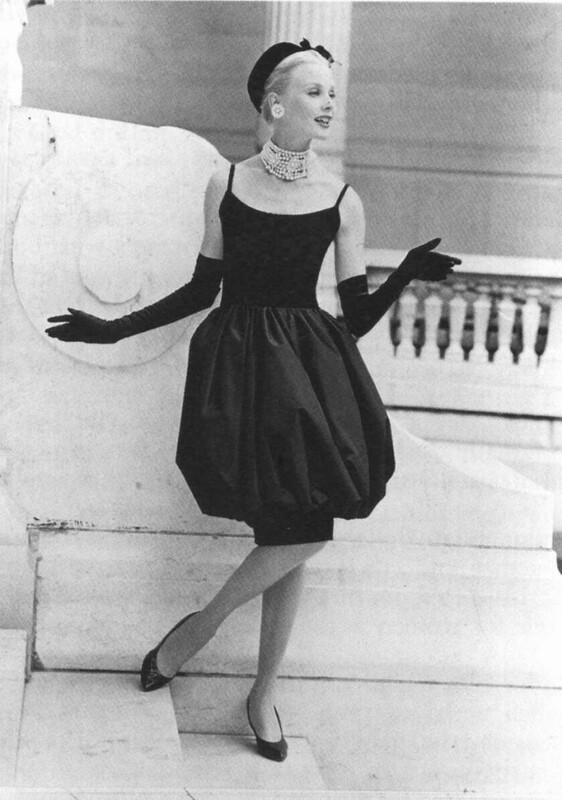 The bubble skirt was popular during the 1980s, and is sometimes referred to as a tulip skirt. Bubble skirts usually reach mid-thigh, but are sometimes shorter. Bubble miniskirts often had shorts sewn in underneath the skirt, or were worn over knee length tights. There are usually three major components in a pattern for a bubble skirt. The cut pieces consist of a longer, extra wide outer layer, a narrow, shorter inner layer, and a waistband. Even though the skirts typically consist of only three pieces, they can require some skill to assemble. After the fabric pieces for the bubble skirt are cut, they are ready to be assembled. The bottom edge of the outer piece of fabric should be tightly gathered to the bottom edge of the inner piece. Once that is done, the top edge of the outer piece should be aligned to the top edge of the inner piece, once again gathering the outer piece to fit the inner section. At this point, both pieces should be attached together and ready to gather into the waistband. Once this is accomplished, the skirt can be finished by inserting a zipper and button for closure. 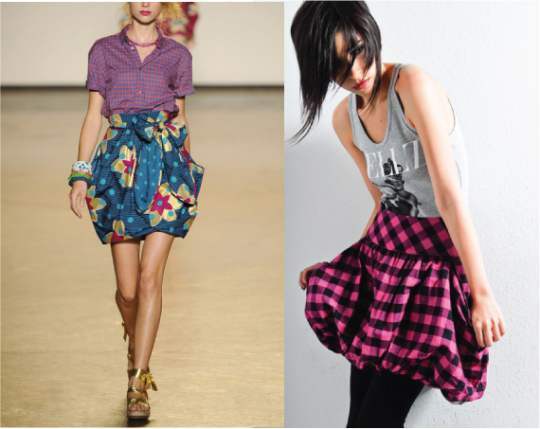 Some styles of bubble skirts (vintage floral bubble skirt) use wide bands of elastic instead of sewn waistbands. Using elastic allows for an easier fit, but attaching fabric to elastic can sometimes be tricky, especially for beginners. The elastic should be stretched as the fabric is sewn. Failure to do this may cause the elastic to loose elasticity, defeating the entire purpose. Bubble skirts can be made of most any soft, pliable fabric. Most of the bubble skirts of the 1980s were constructed using cotton or polyester knits. Other fabrics that work well for this type of skirt are soft satin, silk, and taffeta.